FILE PHOTO - A U.S. Army soldier sits inside their military vehicle as he takes part in Operation Pacific Reach joint logistic exercise in Pohang, South Korea, April 11, 2017. SEOUL - The U.S. military said on Saturday it has opened an investigation into fake mobile phone alerts and social media messages advising U.S. military personnel and their families to evacuate the Korean Peninsula. The phony messages, which were spread on Thursday, came at a sensitive time, with tensions high after North Korea conducted its sixth and largest nuclear test on Sept. 3. The test and a series of missile launches have triggered a war of words between U.S. President Donald Trump and North Korea’s leader Kim Jong Un. U.S. Forces Korea (USFK) was not yet aware of how many people received the hoax messages or who was behind them, a spokesman for the USFK told Reuters. The USFK posted a statement on its official Facebook page on Thursday making clear that the U.S. military did not issue any evacuation-related alerts. It has also instructed all U.S. Department of Defense personnel and their family to confirm any evacuation-related communications before acting. 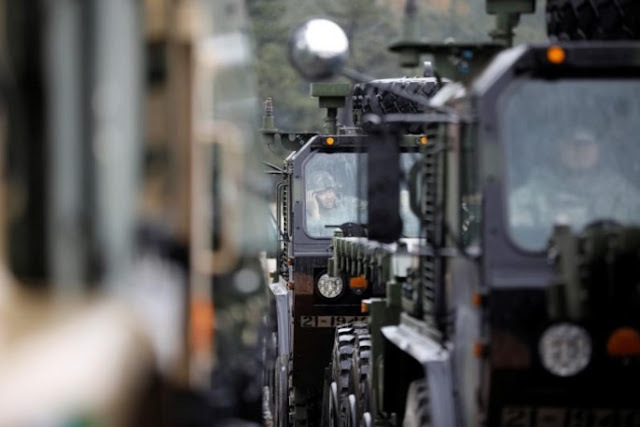 The USFK conducts regular biannual noncombatant evacuation operation (NEO) exercises in the spring and fall to rehearse for possible evacuation. The second NEO exercise of the year is scheduled to take place in October. The U.S. military said on Saturday it has opened an investigation into fake mobile phone alerts and social media messages advising U.S. military personnel and their families to evacuate the Korean Peninsula.